BallyCara HomeCare had the most adorable visitor today! 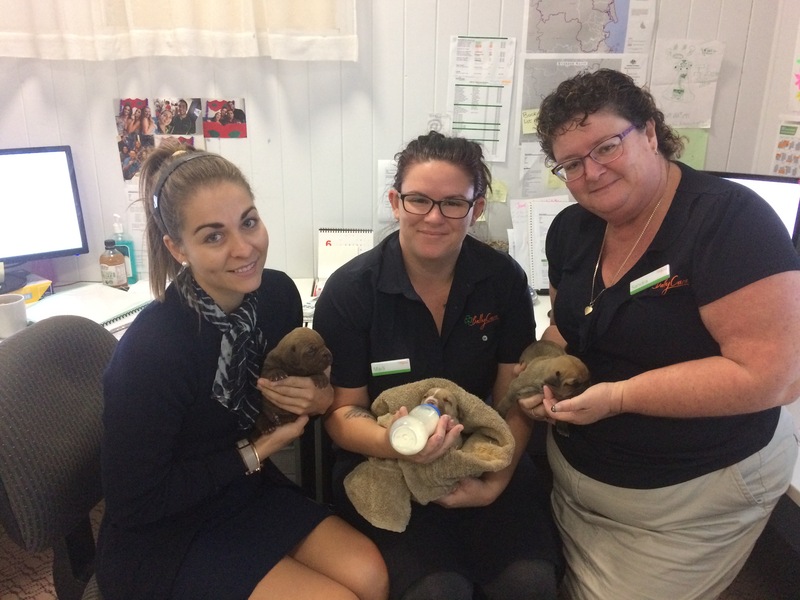 To support the RSPCA Take Your Dog to Work Day our very own HomeCare Customer Support Officer Marli Hewitt came to work with three of her very cute puppies. Pugsley, Jesus and Beyonce stole our hearts! The RSPCA host the National Take your Dog to Work day asking employers to open their businesses to pet dogs to promote the benefits of pet ownership and encourage animal adoption. Pets provide a number of physical and mental health benefits for people. Pet dogs in an office can be a very positive experience in the working environment for both workers and the dogs!